Researchers will use knowledge gained from studying other viruses in their effort to develop antivirals against Zika virus infection. Drug Innovation Ventures at Emory (DRIVE) and the Emory Institute for Drug Development (EIDD) have launched an effort to identify and develop antivirals to treat the infection caused by Zika virus. There are currently no treatments or vaccines against the virus, which has been declared a public health emergency and is linked to birth defects. DRIVE is a not-for-profit company wholly owned by Emory, but with the independence to run like a biotechnology company. DRIVE applies focus and industry development expertise to efficiently translate discoveries to address viruses of global concern. DRIVE has an internal program working on the discovery and development of nucleoside/nucleotide analogues against respiratory syncytial virus, chikungunya virus and dengue virus. Learn more here. The EIDD was founded and constructed to provide the multidisciplinary capabilities that are required to effectively advance cutting-edge drug discovery and development programs at the preclinical stage. The EIDD is housed in 12,000 sq. 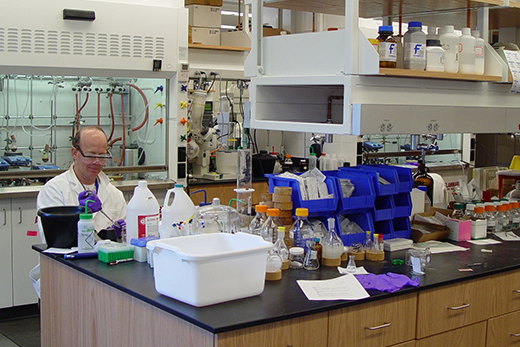 ft. of state-of-the art, fully equipped laboratory and office space that was specifically designed to support dedicated teams focused on medicinal and process chemistry, virology and molecular biology, bioanalytical chemistry, drug metabolism and pharmacokinetics. EIDD currently has a Department of Defense contract to develop nucleoside/nucleotide analogues against Venezuelan equine encephalitis virus, a biodefense threat. Learn more here. The Georgia Research Alliance (GRA) works to expand research and commercialization capacity in Georgia’s universities to recruit world-class talent, seed new companies and transform lives. For 25 years, GRA has worked to strengthen the research enterprise in Georgia by working in partnership with the University System of Georgia and the Georgia Department of Economic Development to create the companies and jobs of Georgia’s future. Learn more here.